Ive been saying I am going to buy myself a watch now for pretty much five years if not longer. For some reason I have never really got round to it, probably because I was after a unique watch, but was struggling to find it within a sensible price range. So when JORD got in contact and offered me a chance to pick a women’s watch from their website I was thrilled. 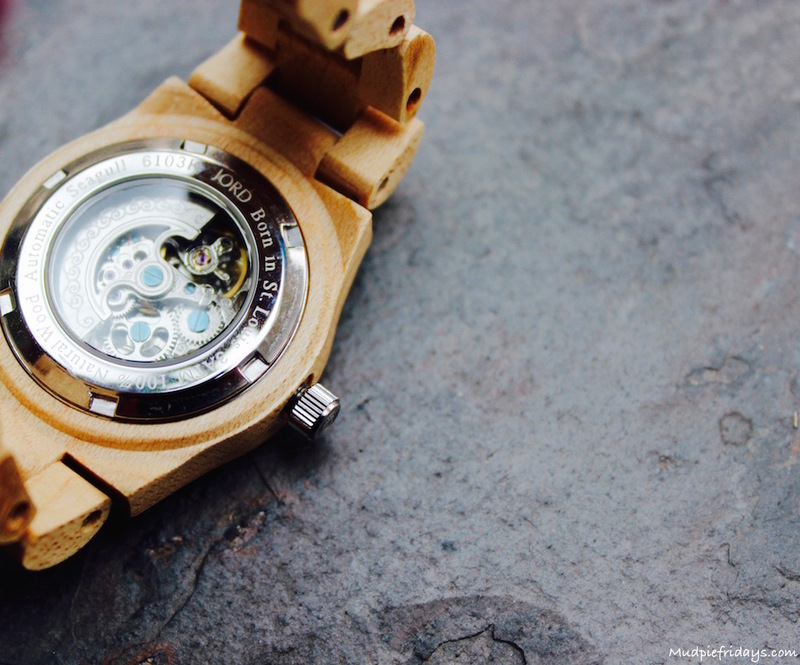 Until they contacted me I had never heard of wood watches, I mean you can’t really get any more unique than that so it was perfect for my desire of something ‘different’. The website is so easy to navigate, by selecting women’s watches I could see all their models and the different types of wood available. They are all so pretty it was a hard choice! I have quite petite wrists and so didn’t want anything too large and I wanted it to be neutral. I need it to be able to go with everything from my school pick up jeans and trainers to that rare date night little black dress number! Although they had some fantastic colour options including purpleheart and zebra wood I opted for the Cora Series in Maple and Silver. It did not disappoint. Once ordered I received an email from UPS confirming the tracking number and delivery. I always have a little niggle in the back of my mind when I order something from the internet about it actually reaching me. The email game me piece of mind. The watch arrived in this lovely wooden box that has a debossed logo and sliding lid, with its own cushion, instructions and spare links. One of the issues with buying items such as a watch online is sizing it. JORD have thought of this and have a clever little pdf document which you print and cut out that allows for accurate measuring. So the fit was perfect. The first thing I was struck by was how light the watch was. 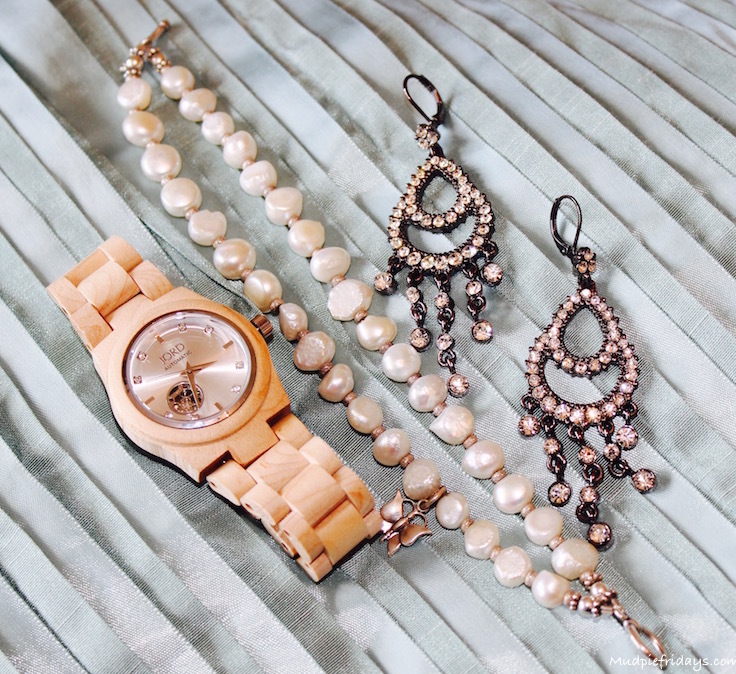 The wood is beautiful, a light creamy colour, its hard to describe but it compliments the silver face perfectly. Instead of numbers there are Swarovski crystal markers, after all every girl deserves a bit of sparkle. The glass used is sapphire crystal glass which is hard and scratch resistant, perfect for when you are running around after little ones. The clasp is stainless steel and you need to squeeze both sides of the watch for it to open, this gives me confidence to wear it every day with the children as it won’t accidentally come undone. If you turn the watch over on the back you can see the movement, for those of you who know your watches it is an Automatic Sea-Gull ST6103K. All I know is that it is fascinating to watch. 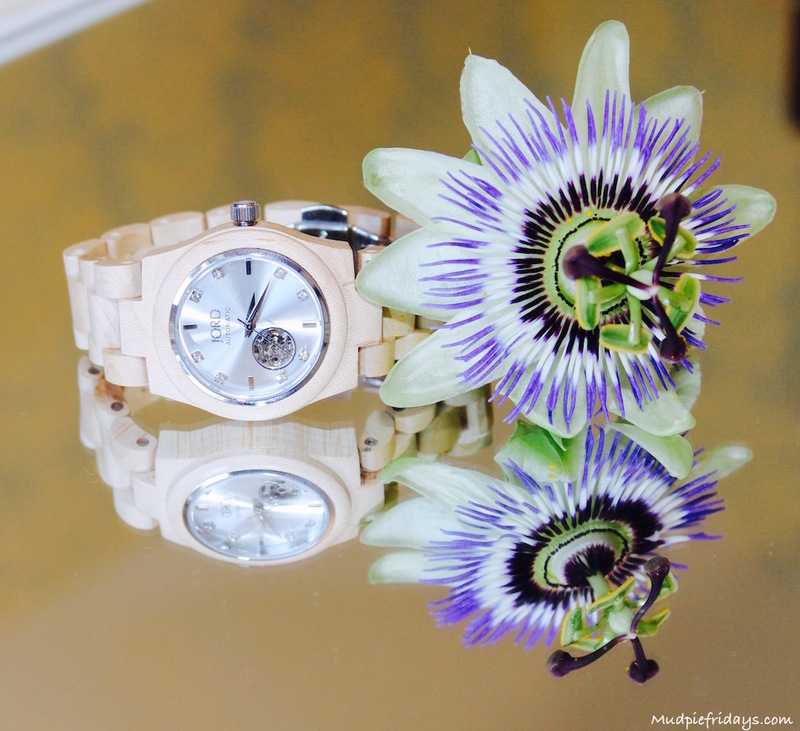 I really do love my Cora Maple watch and have had so many compliments while wearing it. Many people not believing how light it is, and some wanting to try it on for themselves. Its nice to have something unique and beautiful instead of a heavy metal branded fashion accessory which goes out of date as soon as you have brought it. Its so versatile it really does go with everything, Ive worn it to a 5oth Wedding Anniversary where I dressed it up with a black two piece, pearls and sparkles. I knew I was going to like it but I am surprised by just how much I love it! I really can not find fault with it. 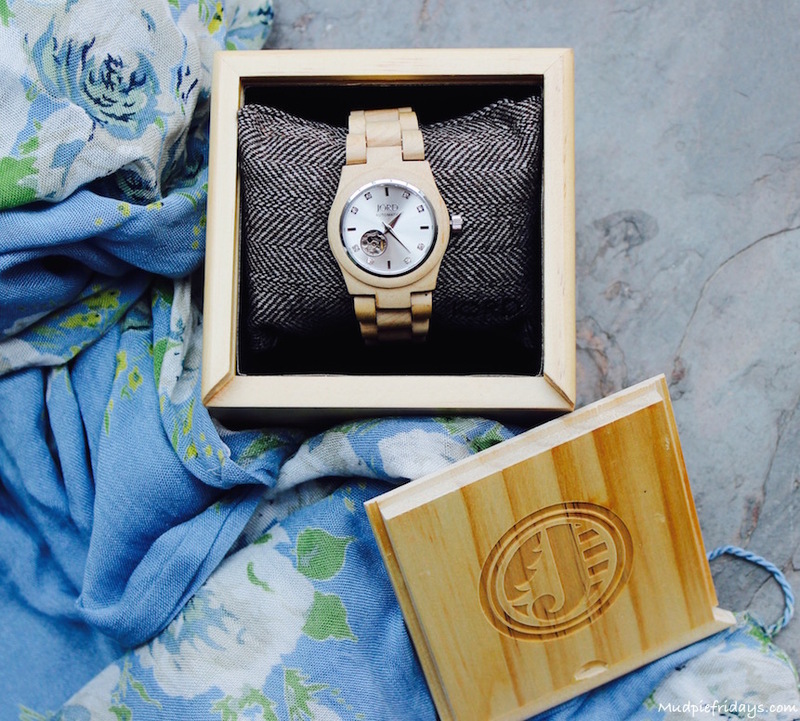 If you would like your very own wood watch JORD have very kindly agreed to a giveaway where one lucky person will receive a $75 e-voucher, everyone else that enters will receive a $20 e-voucher. 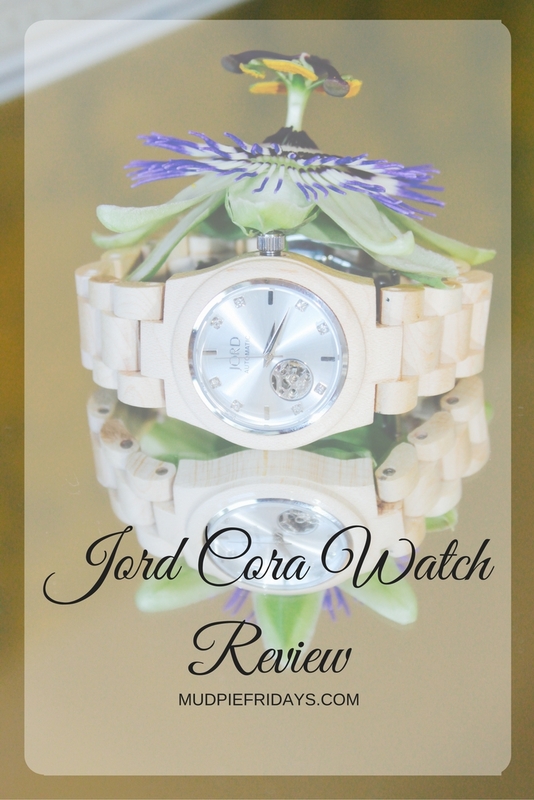 This post was sponsored by JORD wood watches, I was given a Cora watch for the purpose of the review, however as always all words and opinions are my own. I have just been on their website and the range is gorgeous. I too love unique pieces like these. I have a fitbit and it does make me cringe on how common they are. Your choice is spot on, it’s absolutely gorgeous. this is a pretty beautiful piece right here- I dont even wear watches but I would rock this one! 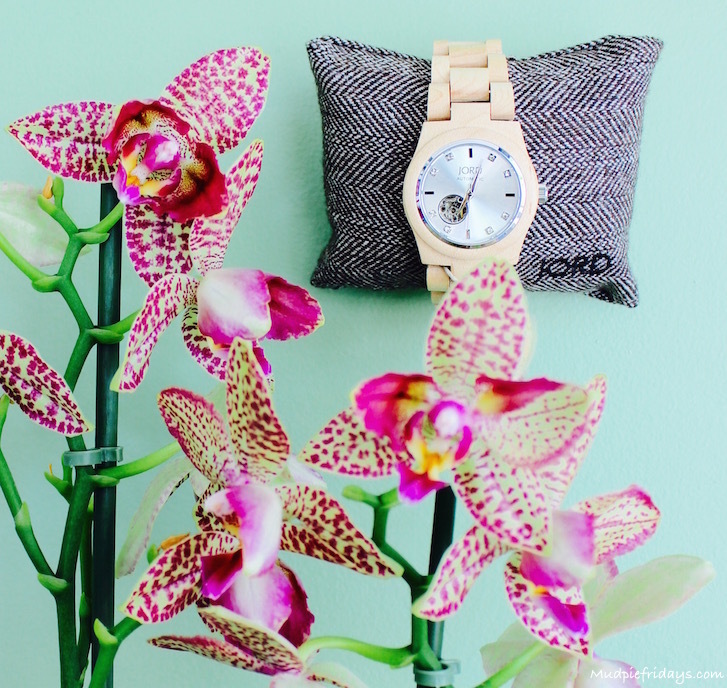 I love Jord watches I hope to own one at some point! 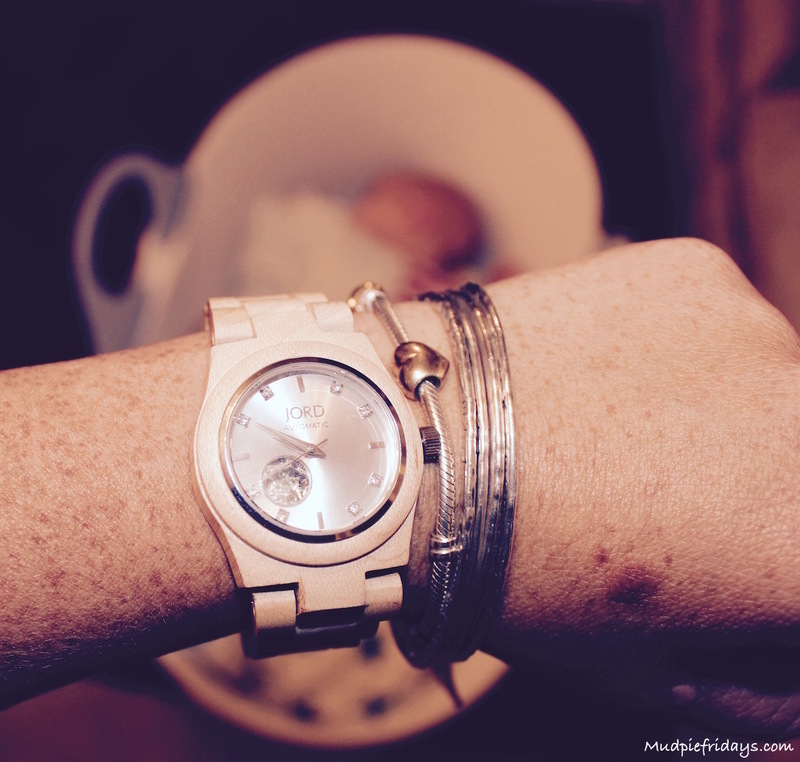 I do love Jord watches they are fab! The one you have is absolutely gorgeous!